The Museum of Typography is participating in the celebration of the International White Cane Day with an event that will take place in the amphitheatre of the museum on Friday, October 12 2018, at 10 am. The event aims to raise awareness on the right of equal access to education and to every facet of everyday life for blind and partially sighted people. • Manos Tsitsiridakis, lawyer, Ph.D. candidate, will speak about the international white cane day, Braille and the right to knowledge and education. • Eva Tsichlaki, assistant physiotherapist, blind cycling athlete will speak about the right to accessibility and independent living, but also address the problems blind people encounter in their day-to-day movement. 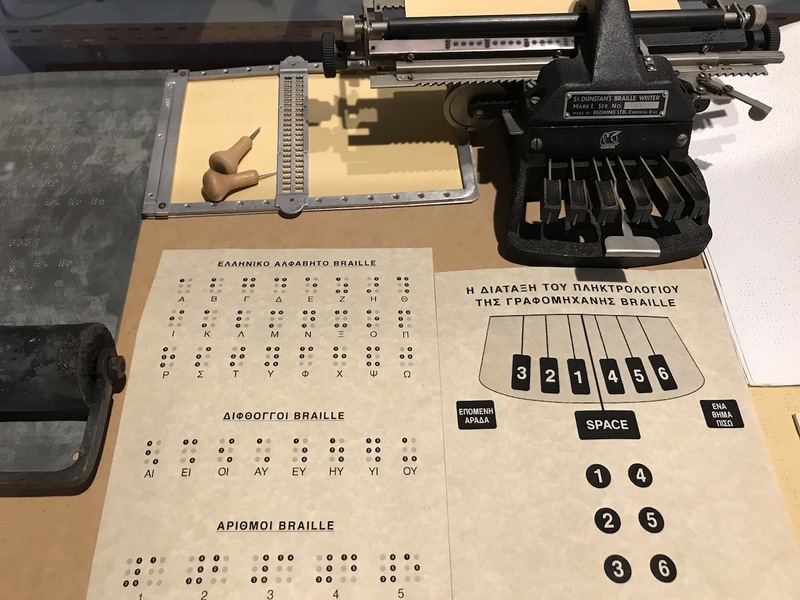 The event will include highschools students, while the public will be able to ask questions, learn how blind and partially sighted people write, read and communicate and see the Greek Braille alphabet and a typewriter from the museum collection, a donation of the Lighthouse of the Blind of Greece. 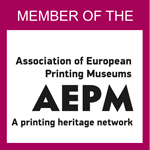 At the end visitors will be able to attend a guided tour of the Museum’s collections from the early centuries of Typography to the present day. Schools wishing to participate in the event can contact the Museum of Typography at 28210 80090 and 6974020861.